The Exhibit Application must be electronically signed by an authorized representative of the exhibiting company. This signature will reflect that the authorized representative has read and agrees to the terms specified below. ISCB reserves the right to dismiss any Exhibitor who does not adhere to the rules and regulations published here and in the Exhibitor Service Kit. ISCB reserves the right to interpret these regulations as it deems proper and/or necessary to ensure the success of the Exhibition and to further the educational purposes of the event. Your participation/attendance in or at this event means you, the Exhibitor, agree to comply with all ISCB Rules and Regulations, which are in effect at the time Exhibitor Move-in begins. 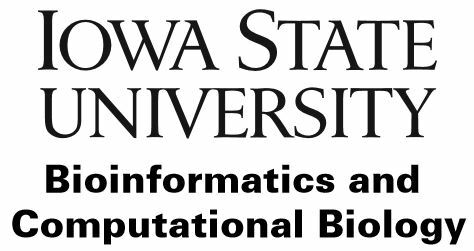 The purpose of the ISMB exhibit program is to further the education of or assist scientists working in the field of computational biology. The exhibits must be of an educational or service nature. They must emphasize instruments; products or services for use in teaching and research; books or other publications in relevant scientific fields; or scientific research findings in those areas of science represented at the meeting. All claims regarding products and services should be truthful and accurate. Unwarranted disparagements or unfair comparisons of a competitor’s product or services are not permitted. ISCB reserves the right, in its sole discretion, to accept or deny applications for exhibit space and to allocate space among Exhibitors. In the case of a denied application, all monies collected by ISCB will be refunded to the applicant. Whenever possible, Exhibitor’s space requests will be honored, but the final arrangements will be determined by Exhibit Management in a way that produces the most advantageous grouping of the exhibits. ISCB shall have no liability if the space location assigned is not as requested or if space is sold out. A 50-word description of products and/or services to be displayed in the booths must be submitted. This information will be published in the meeting program, provided that the application and description meet with ISCB approval and are received no later than May 30, 2016. If the description is not provided by the deadline date, only the name, address (as it appears on the contract), and booth number will be printed in the meeting program. ISCB reserves the right to impose limitations on noise levels and on any other method of operation that becomes objectionable. Exhibitors agree to abide by the installation and dismantle times set by ISCB and to have at least one person staffing their booths during published exhibition hours. All exhibitors must complete their booth installation within the designated set-up times. Failure to comply may result in additional late set-up charges. Exhibitors who vacate or dismantle their booths prior to the published exhibition closing time without permission of the show manager may be assessed a fine equal to one half the booth fee and will forfeit any booth selection for the following year. Exhibitors may use the Exhibit Application to designate their preference to be located near other companies or their wish to not be adjacent to or opposite designated companies. These requests will be honored to the extent possible in conjunction with assignment priorities and requests for specific locations on the floor. Exhibitors will be permitted to distribute appropriate promotional materials and approved related items from their exhibit booth only. Exhibitors may not distribute materials outside their booth (hotels, Convention Center lobby area, etc.) without permission. In keeping with the educational purpose of the exhibit program, giveaways must conform to acceptable, legal, and professional standards. ISCB reserves the right to deny distribution of materials they deem inappropriate. WHITE draped table, (2) side chairs, (1) wastebasket, and a 7" x 44" identification sign. Exhibit space must be paid in full within 30 days of receiving invoice, after which space can be resold. Exhibit fees cover only those items described in the prospectus, website page, or written communication from ISCB. Any other booth furnishings and/or equipment must be contracted through the official ISCB General Service Contractor as indicated in the Exhibitor Service Kit. In the event that no representative of an exhibiting organization has arrived on-site to claim its space or freight within 90 minutes of the published event opening, ISCB has the right to resell or relocate the exhibit space. Any booth not set up by the last two hours of Exhibitor Move-in may be force-built at the Exhibitor’s expense or relocated at the discretion of ISCB. During the Exhibitor Move-in/Out, the Exhibit Hall is deemed a “construction zone” by FREEMAN CORPORATION and, as such, prohibits exhibitors from wearing open-toed shoes of any kind in the Exhibit Hall. This regulation will be strictly enforced for the safety of all. A full refund less US$100 administration fee if cancellation received prior to March 20, 2016. 50% refund if cancellation received between March 21, 2016 and May 22, 2015. No refund after May 22, 2016. All cancellations or reduction of space include the forfeiture of all exhibitor badges that were originally allocated with the booth space. Subleasing, assignment, or sharing the whole or any part of exhibit space is not permitted. Two or more companies may not share the same space. Exhibitors agree to limit the service and/or materials displayed in their exhibit area to those supplied or provided by the Exhibitor, with the exception that other proprietary equipment may be used solely for the purpose of demonstrating the materials or services of the exhibitor. Exhibitors will receive one (1) complimentary conference registration, three (3) complimentary Exhibit Hall-only badges for company personnel for each booth space reserved. Additional Exhibit Hall-only badges can be purchased for $50 each. It is the responsibility of the authorized individual signing the application for space to inform all company personnel of the rules and regulations contained in this brochure. Exhibit Hall-only badges will not allow admission to scientific sessions. All exhibits must fit within the confines of their assigned space so as not to impede traffic flow, infringe on the space of other exhibitors, create any trip hazards, or violate the emergency exit routes or access to emergency equipment set forth by the fire marshall. The exhibit aisles will be carpeted. Exhibitors are required to cover their allotted floor space by either providing their own carpet or renting carpet from the General Services Contractor. If the Exhibitor provides their own carpet it must be one color and be clean. Exhibits Manager reserves the right to force carpet (at Exhibitor’s expense) upon exhibitors that have no floor covering or whose covering does not meet acceptable standards. The standard booth size is 8 feet x 10 feet unless stated or marked otherwise on the floor plan or in the Exhibitor Prospectus or contract. The maximum height of 8 feet is allowed only in the rear half of the booth space, with a 8 feet height restriction imposed on all materials in the remaining space forward to the aisle. In an exhibit that contains 3 or more linear booths (30 feet or more), the interior booths are permitted to contain display material with a maximum of 8 feet in height which must be confined to that area of the Exhibitor’s space which is 8 feet from an adjoining booth. Sufficient “see-through” area must be provided to avoid blocking the view of adjacent exhibits. The end booths of such an exhibit must conform to the Standard Booth restrictions. Hanging signs are not permitted. No exhibit may span an aisle by using roofing. Exposed, unfinished sides of exhibit backgrounds must be draped to present an attractive appearance. If such draping is not ordered, the contractor, with the approval of the Exhibits Manager, will install it and charge the Exhibitor. An island booth is a unit bordered on four sides by aisles. All materials and activities must be contained within Exhibitor’s designated booth space. All display material is restricted to 8 feet in height, and a sufficient “see-through” or “walk-through” area of 40% visibility per side must be provided to avoid blocking the view of adjacent exhibits. Models or to-scale drawings of exhibits must be submitted in advance to Exhibit Management for approval. Island booths will be measured and may not exceed the 8 feet height limitation. Hanging signs as part of booth structure are permitted but must not exceed the 8 feet height restriction as measured from the top of the sign to the floor. Exhibit space that incorporates enclosed or covered areas must be protected by an audible smoke detector. This includes storage closets built into the exhibit. Each covered or enclosed area must display a charged fire extinguisher with a minimum rating of 2A, 20BC (or conform to the locality code). An End Cap Booth is a booth that has open sides on three aisles. An End Cap Booth must not exceed the height restrictions as noted in Island Booths. Aisles are the leased property of ISCB. No Exhibitor will be permitted to block aisles or otherwise impede proper flow of traffic throughout the entire show. All demonstrations must take place within Exhibitor’s designated booth space. Federal, state, and city laws will be strictly observed. All drapes, curtains, table coverings, skirts, carpet, or any material used in exhibits must be flame retardant. Wiring must comply with fire department and underwriters’ rules. Hall capacity will be monitored. Fire hose cabinets, fire extinguishers, sprinklers, fire exit doors, route of egress, and any other fire safety device or facility must not be hidden, obstructed, or otherwise disturbed. Crates, packing materials, wooden boxes, or other highly combustible materials may not be stored in exhibit halls, meeting rooms, or fire-exit areas. Materials not in compliance with the regulations will be considered trash and subject to disposal. Passenger elevators and escalators may not be used for freight, including hand trucks, floats, and similar equipment. ISCB will contract reputable security guards during the course of the annual meeting. The duties of the guards will be to protect the general exhibit against fire and other catastrophes as well as to provide access control to the exhibit floor. Neither ISCB, the convention center, hotels, nor the owners or leasers of the exhibit venue will assume any responsibility for Exhibitor’s personal property. It is strongly urged that exhibitors maintain awareness of any expensive, revenue-generating, irreplaceable (within the timeframe of the exhibition), or proprietary product contained within their booth. Exhibitor will have the option of engaging security services if desired for exclusive booth coverage. Exhibitor assumes all responsibility and hereby agrees to protect, indemnify, defend, and hold harmless ISCB and its officers, employees, and agents; the Convention Center Dublin and its employees and agents; and Freeman Companies against all claims, losses, and damages to persons or property, governmental charges, or fines, and attorney’s fees arising out of or caused by Exhibitor’s installation, removal, maintenance, occupancy, or use of the exhibiting premises or a part thereof, excluding such liability caused by the sole negligence of the parties referred to above. In addition, Exhibitor acknowledges that ISCB, its agents, the Convention Center Dublin, or Freeman Companies do not maintain insurance covering the Exhibitor’s property and that it is the sole responsibility of the Exhibitor to obtain business interruption and property damage insurance covering such losses by the Exhibitor. The Exhibitor shall be liable to the host facility and/ or ISCB for any damage to the building and/or the furniture and fixtures contained therein which shall occur through acts or omissions of the exhibitor. It is mutually agreed that in the event ISMB is cancelled due to acts of God, war, strikes, government regulation or advisory (including travel restrictions by the government or World Health Organization), civil disturbance, terrorism, or threats of terror- ism in and Ireland or the United Kingdom as substantiated by governmental warnings or advisory notices, curtailment of transportation, epidemics, disaster, fire, earthquakes, hurricanes, unseasonable extreme inclement weather, shortages or disruption of the electrical power supply causing blackouts or rolling blackouts in Dublin, Ireland, or any other comparable conditions or circumstances occurring either in the location of the ISMB meeting or in the countries/states of origin of at least 30 percent of the attendees or along their routes of travel, making it commercially impracticable, illegal, or impossible to hold ISMB, the Application and Contract for exhibit space will be terminated. In such an event, neither party shall be liable to the other for delay or failure to perform its obligations, except there shall be a prorated reduction of any fees payable or otherwise due under this agreement and/or refund of any deposits paid. Exhibitor acknowledges that ISCB does not maintain and is not responsible for obtaining insurance covering Exhibitor’s property. Exhibitors are urged to take out a portal-to-portal rider available at a nominal cost on their own insurance policy protecting them against loss through theft, fire, damage, etc. Details for labor, furniture, rental displays, lead retrieval, utilities, etc., will be included in the Exhibitor Service Kit. Exhibitor Service Kits (links) will be distributed via e-mail in April 2016. Exhibitors are encouraged to take advantage of cost reductions offered by most contractors for advance orders. Many services cost substantially more when ordered on-site.